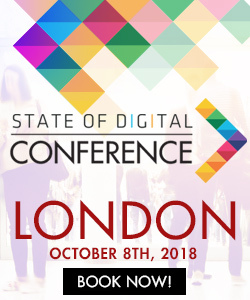 When trying to get a grip on your audience, when trying to understand who to target and when trying to understand how to find out what to write you do a lot of research. 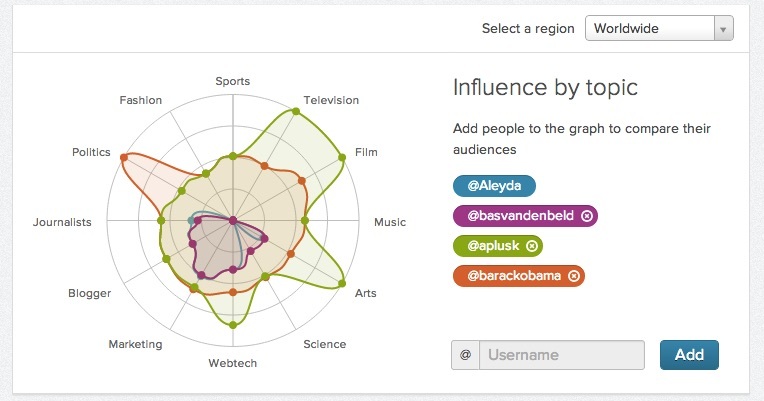 You analyse Twitter behavior of those you are targeting. You analyse keywords and you analyse rankings. Research is important because it will tell you a lot about the audience you are targeting. It prevents what I always call ‘shooting with hail’. Making an effort to understand your target audience, whether it is those you are writing articles for or those that you outreach to when launching a new product or website, is trying to sharp shoot instead of just shooting and hoping someone gets hit. But it’s difficult. Luckily we have many tools these days that help us get a grip on our audience. In this post I’d like to describe 3 tools that help me get a better grip of who I am targeting. Let me start with an ‘easy one’: Buzzsumo. 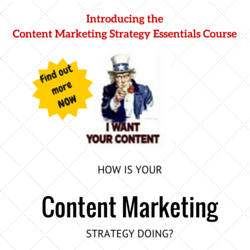 This tool mainly looks at ‘what is hot’ when it comes to content. It will show you what is popular on a certain topic or a certain domain. Buzzsumo specifically looks at number of shares on the social networks. This means that you can easily see what is popular content that gets shared. Analysing that content will tell you what type of content you need to write to get traction on your articles. Another good thing about Buzzsumo is that it is easy to analyse your competitors. Type in a domain and it will show you the most popular articles on that domain. Playing with the filters on dates and type of content will also give you some nice extra information. The interesting element of course is the ‘view sharers’ option next to a post. This shows a selection of sharers (on Twitter) of the article. It will show you who you should ‘target’ to when trying to find the right people to share your articles. Every tool has its flaws. But the ‘flaws’ doesn’t mean necessarily that a tool does something wrong. It can be that as a user you’re doing something ‘wrong’ or at least should be aware of something. In the case of Buzzsumo it’s a couple of things that are all related to one thing: don’t go for the numbers. Buzzsumo will tell you what is shared and what sharer has a big amount of followers for example. The problem however is that it doesn’t mean that that content fits your audience needs. For one, this is stuff that is already shared. People already ‘have their answers’. Why would you ‘repeat that content’? Secondly, that someone has many followers doesn’t mean they will speak to your audience. And thirdly: what you are seeing here is only part of the information. It’s just ‘social’, Twitter mostly. That is only part of what people use and do. So treat the information with care. When looking at your audience you want to know who they are influenced by. You can try targeting directly, but that doesn’t always make sense, because after all, why would they be listening to you? They don’t know you after all! So you might want to figure out who you should be targeting around the people you are targeting. For this Mentionmapp comes in handy. A tool that shows you who someone is ‘talking’ to a lot on Twitter. 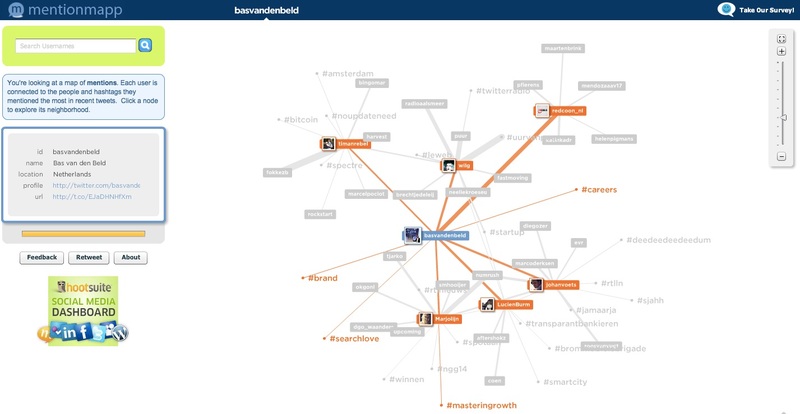 I use mentionmapp a lot in outreach, but also in understanding what to write about. By looking at my audience (those that share for example) I get a better understanding of how they ‘got to sharing’ and who and what they talk about a lot on Twitter. On Mentionmapp (sign in with your Twitter account) you type in a Twitter handle and then Mentionmapp will show who that person has been connecting to in the past few days as well as the topics. The good thing is that it is not a ‘one-click-done’ tool. You can click on the connections and see their ‘maps’ and you can zoom in and out on the map. Mentionmapp is great for the first part of your research. A big thing to keep in mind is that it is just Twitter. So it means you are only looking at one social network. You don’t know how these people interact on other platforms. Secondly you have to keep in mind that the data presented is only from the past few days. This doesn’t say anything about long term. So you found people to target, but you want to know a little bit more about them as in, who is their audience? Who do they speak to? Peerreach comes in handy here. Peerreach will give you information on a one-person-level about the reach and audience of that person. Peerreach gives you a nice one page overview of someone. 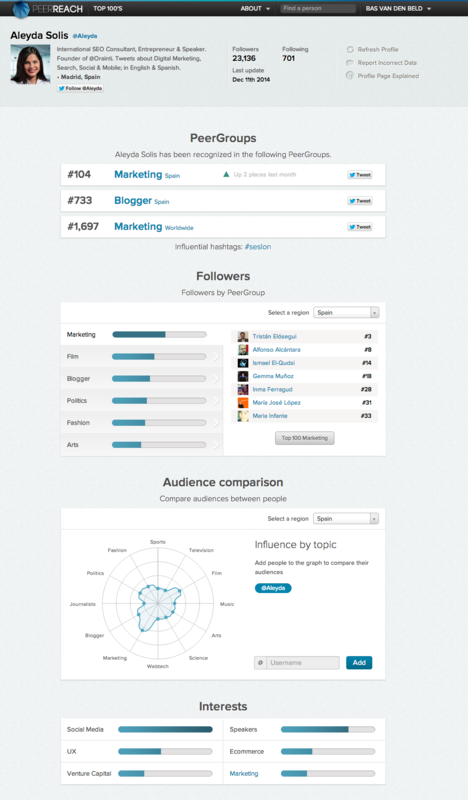 It shows you the topics the person is ‘all about’ and it will show you the interest areas their followers have. It also has a Chrome plugin to show on your Twitterfeed how ‘important’ the Twitterers are. And one nice thing is that you can compare them to other Twitterers by adding up to four handles to compare and see who has reach on what topic and whether or not they ‘fit’ your needs. Like with Mentionmapp Peerreach is all about Twitter, which means the data is just one social network and therefor you should be careful with drawing to big of a conclusion from the results. It gives you an indication. Also, like with other tools, this again is aimed at looking at reach, but reach doesn’t necessarily mean influence as you know. So these are three tools that help me (I use many more but will talk about those another time), for now I’m interested to know if you know these tools and what your ideas about these tools are. Let me know in the comments!